Isn’t it beautiful? I have to confess I figured I would make something for everyone else in the house first. I have knit “hip hop” pants in an animal print on the docket for Kadi, a leopard print miniskirt for Holly, an idea rolling around in my head for Juliette… and MAYBE I’d get to something for me. But then I stumbled on this and snapped it up. The best part? I got 6 yards for a total of $15.00 (plus 10% off of that!) How could I NOT buy it? That is enough yardage to make myself a pair of pajamas AND a robe. 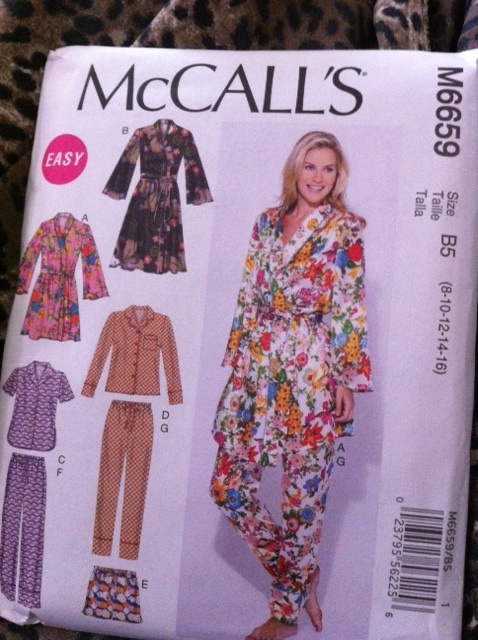 I snapped up this McCalls pattern for .99 cents. (plus 10% off!) I have not decided if I am going to make the long or short sleeved version. I DO know I am going to pipe the robe and PJ top in red. 🙂 And make covered buttons. I am very very excited about my make. Especially since I think it fits right in with the challenge issued by Pretty Grievances. 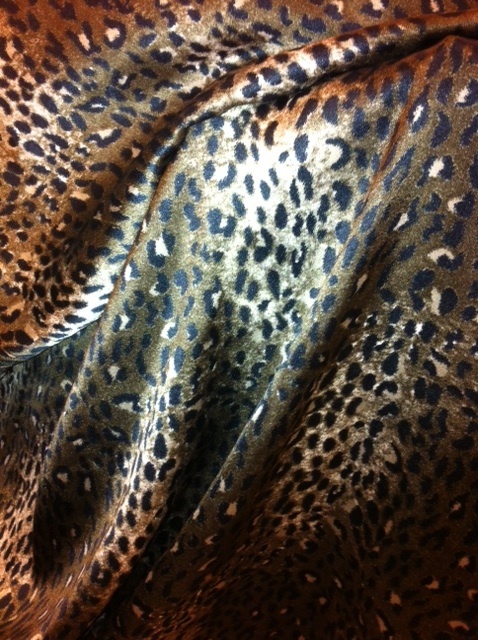 I am feeling the love… for animal print pajamas. Definitely am getting in to the spirit of this and looking forward to frolicking around in these.